1) Saute garlic until golden brown, followed by the onion, chicken, patis, chicken broth and ginger. Saute until liquid is reduced or until chicken turns to light brown. 2) Add the water, let it boil and simmer for 30-40 minutes or until chicken becomes tender. 3) Add the siling haba. Taste and add salt if desired. 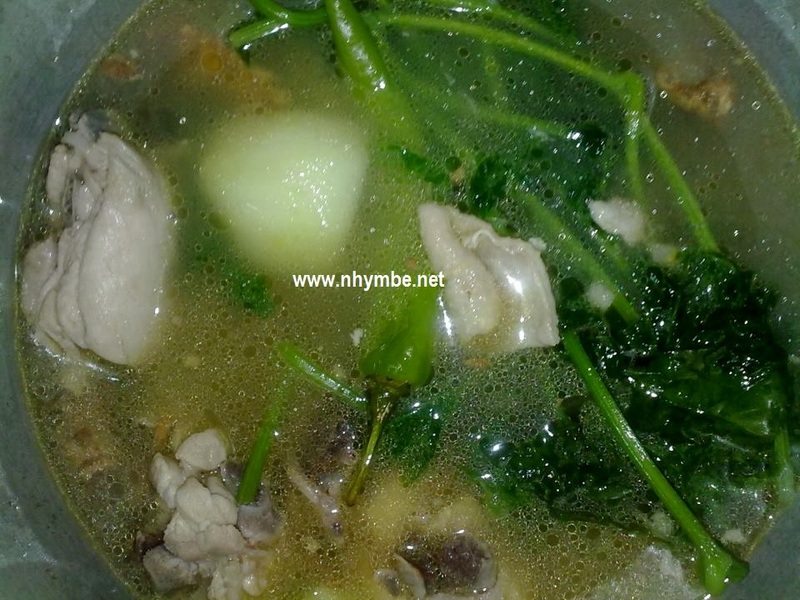 4) Add the ampalaya and sili leaves, let it boil and simmer for 30 seconds. 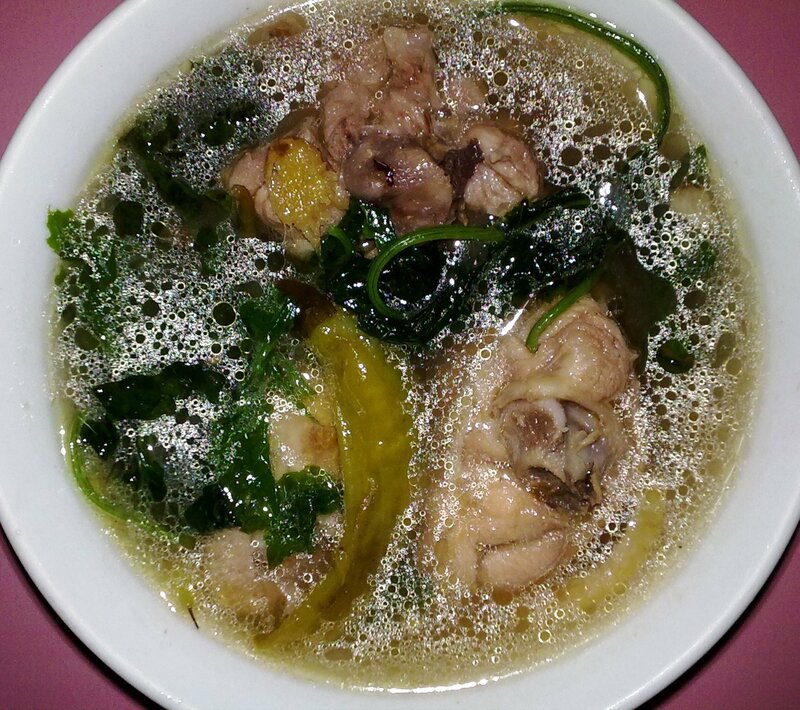 Sarap naman ng tinolang manok. Nagutom ako.